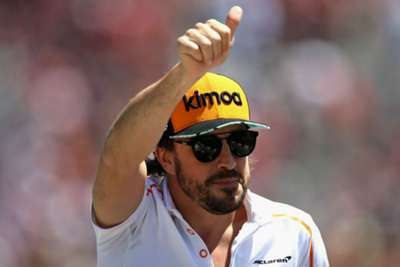 Fernando Alonso insists his 2019 plans have not been damaged by McLaren's decision not to enter IndyCar as he never planned to race a full season in the series. Earlier this year, Alonso announced that he will not race in Formula One next season and initial reports suggested he will switch to IndyCar to boost his chances of completing motorsport's triple crown of the Monaco Grand Prix, Le Mans 24 Hours and Indy500. McLaren were reported to be pondering the possibility of running in IndyCar, but on Friday team boss Zak Brown said those plans have been shelved for the time being. But Alonso insists that announcement does not alter his situation next year. Speaking to reporters in Austin ahead of the United States Grand Prix, Alonso said: "You found out McLaren won't be running in IndyCar next year, but I've known it since August, so what was said doesn't affect my future plans in the least, as I've known it for a couple of months. "I went there and tested an IndyCar in September just to know how the cars felt like, but there was no hidden agenda, no other plan for the future. "Zak announced it, I've read people saying this was a setback for me but it wasn't, because it was never in my plans to do a full IndyCar season, so nothing changed for me." Alonso is set to keep competing in the World Endurance Championship next year and said that moving to IndyCar would have required too big a commitment. "My program for next year has been clear for me for many months, but we need to put things together, do a crossover of many plans from different series, different companies and when it will always be settled we'll make the announcement," Alonso added. "But doing a full IndyCar season was never an option. I'll want to do some IndyCar in the future but not next year for sure. "That would mean doing 17 races, all in America, learning the category and the tracks from zero, so that would require a commitment and determination that was never in my plans. "That Zak announced it was for McLaren's benefit as, in any case, I was never in the plans for a full season." Asked if he could appear one-off again in the Indy500, he added: "Doing a race like we did last year, the Indy 500, is something we're evaluating now but there's no decision taken, far from it."